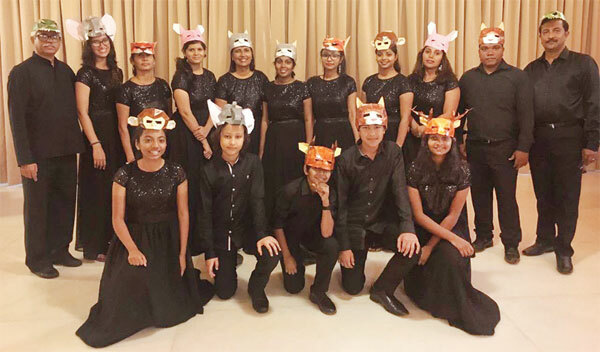 Society in association with the Directorate of Art and Culture (Goa) and Bennet & Bernard Gastronomy-Hospitality Pvt Ltd, will present musical play ‘Eric the Ark’, written, scripted and composed by Martin Emslie at Kala Academy DMK hall on October 31 at 7pm. UK-based musician, composer, conductor and examiner and a sought-after freelance church organist and choir director Emslie has written the play portraying the theme of obedience, faith and togetherness, the story of Noah and the great flood is Glorious and Immortal. ‘Erick the Ark’ is extravagant and non-viable as the Hollywood blockbuster versions of the story but is meant to be portrayed with fun as well as morality.It carries the basic moral message “The good will be saved and the evil will be punished”. When writing this play, Emslie included a plethora of different genres of music throughout the play, guaranteed to leave audience absolutely enthralled as their journey through the act along with Noah and his family. “A few years ago, I wrote the music for a musical,‘Mrs Noah and the flood’, for a small troupe of professional actors to perform in schools; it received good reviews but many schools could not afford to put on the piece. ‘Eric the Ark’ uses some of the tunes from that version but it is now expanded and rewritten so that groups can perform it themselves.” said Emslie. Speaking about the play, he said that the story of the flood is timeless and features in all the Abrahamic religions such as Islam, Judaism and Christianity, being a highly moral story of good succeeding over evil. “It carries the message that the story of Noah and the Ark is still relevant today, largely because it explores the spectrum of life’s experiences that upholds the benefits of simplicity, hard work and purpose in life,”said Emslie and informed that it is an exciting mix of prose and music with songs and dance to enhance the flavour of integrating various media. “We have tapped the local talent thereby giving them the platform to showcase their musical skills through this musical play.” Emslie added. Registration is open at www.namahgoa.com and passes will also available at the venue.